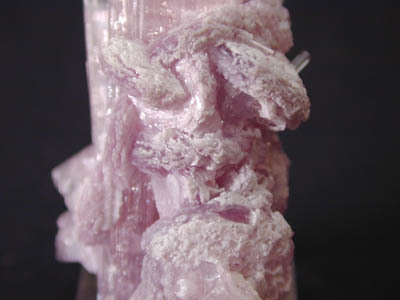 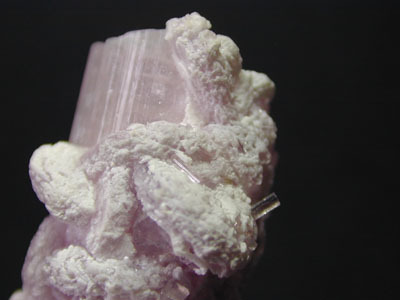 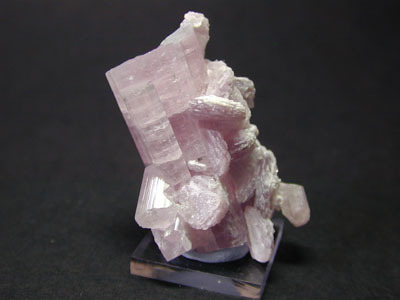 Pale pink crystal section of Elbaite tourmaline encrusted with a number of growths of Lepidolite with other smaller tourmalines attached. 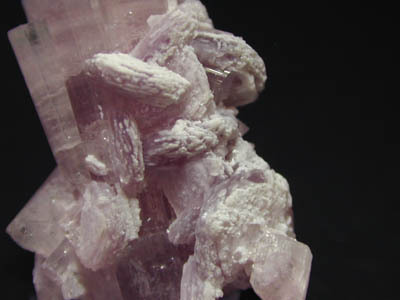 Mounted on small perspex stand. 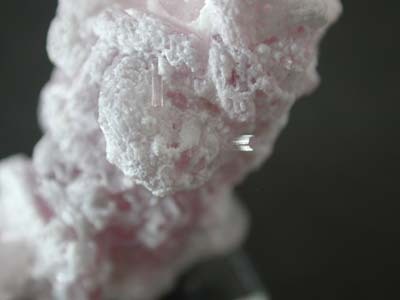 Pleasing small specimen.